The music of Peter Sculthorpe remains one of the most original creative responses to Australia’s natural landscape and ‘spirit of place’ coined by any non-Indigenous artist. His appreciation of the continent’s vastness and the fragility of its environment, and respect for the wisdom of its traditional owners, were firmly implanted in his artistic makeup, but not without a small note of irony. Sculthorpe was a dedicated city dweller, based for most of his life in the Sydney suburb of Woollahra, surrounded by a neat garden of camelias and potted bamboo, but none of the straggling gums-trees that his earlier music, in particular, so deftly conjure. When he travelled, in Australia or abroad, he was always happier to get back home, and it was there, at his desk and piano, that he made his musical expeditions into the Australian outback and northern tropics, and around the Pacific Rim, his immersion in the traditional Indigenous cultures of those places largely ‘imaginary’, in the best, creative sense. It was in music, rather than the rest of his day-to-day existence – the teaching (that he found invigorating), or fielding the demands his compositions generated – that he came to terms with the at once alienating and enriching experience of being a 20th-century Australian in his strange, troubled, but – as he never ceased believing – wonderful homeland. In doing so, as James Murdoch wrote in his important survey Australia’s Contemporary Composers, Sculthorpe had created a “tangible Australian idiom, and an unequivocal musical identity.” Or, as one of Peter’s students put it, he was the first Australian classical composer “whose music could not be mistaken for anyone else’s”. Being Tasmanian partly explains his life-long musical engagement with the mainland, the outback and the tropics so ‘other’ compared with the comfortable world in which he was raised. Cocooned from the worst effects of the Great Depression, he remembered a childhood spent living behind his parents’ general store in semi-rural St Leonards as “idyllic”. Musically, he was promising, without being a prodigy. In the 1939 Launceston Competitions, visiting adjudicator Thorold Waters awarded him 79 points and second prize in the ‘piano solo, under 11 years’. He’d begun composing short piano pieces of his own, and three neatly copied manuscript books full of them still survive. Among the more accomplished are a nocturne and an extract from a never-completed ‘piano concerto’, reflections of his teenage love for Chopin. Aged just 16, he left for the mainland, where, as a student at the Melbourne University Conservatorium, he took orchestration classes with Bernard Heinze, and piano with Raymond Lambert. He forged friendships with fellow students, composers George Dreyfus and James Penberthy, pianist Rex Hobcroft, and violinist Wilfred Lehmann. He developed a passion for Mahler’s Song of the Earth, and Delius’s Sea Drift, and, during the 1947 tour of the Boyd Neel Orchestra, heard astonishing new works like Britten‘s Les Illuminations. A novice double bassist in the conservatorium’s string orchestra, he played pieces by Alfred Hill in the veteran composer’s presence, and the Two Sketches by Eugene Goossens, the Sydney Symphony’s newly appointed conductor. In 1951, degree in hand, but with no clear plans, he returned home to Launceston. He worked in the family’s sporting goods shop, taught adult music appreciation classes, and composed incidental music for the local amateur theatre company. In the wake of the 1951 national tour of John Antill’s Corroboree ballet, he too turned to Aboriginal traditional stories as inspiration for a string trio, The Loneliness of Bunjil and a Piano Sonatina, both finished in 1954. The next year, an austerely modernist new piece for unaccompanied violin was the first of four works called Irkanda – an Aboriginal word for ‘scrub country’. In 1958, having won an overseas scholarship, he opted for postgraduate study at Oxford, where on their first meeting, his tutor Edmund Rubbra, kindly, but teasingly, greeted him: “Ah! . . . Australia’s Bartók!” Later, Egon Wellesz took over as his compositional mentor. Wellesz, who had known Mahler and Schoenberg in Vienna, was delighted with Peter’s Irkanda II, for string quartet, on its first performance in Oxford early in 1960. Peter left Oxford earlier than expected, on learning his father was terminally ill. He died in May 1961, and Sculthorpe composed the haunting Irkanda IV, for string orchestra, in his memory. Premiered by the Astra Orchestra in Melbourne in August, it was warmly greeted in the press, The Age’s Felix Werder calling it “a truly Australian work”. It was the work that, quite literally, made Sculthorpe’s name, leading to his first Melbourne Symphony commission, The Fifth Continent, and a Sydney University lectureship, which he took up in 1964. 1965 was another watershed year. He was signed up by the new London publishing venture, Faber Music, beginning a life-long relationship. He also composed a work, Sun Music I, for the Sydney Symphony to play on its first trip abroad to London in September. One of the most abstract of his scores, inhabiting a stark modernist sound world, Roger Covell described it at the time as reflecting “a country where the sun can be as much enemy as friend” containing “the aural equivalent of shadows as well as a representation of dazzling brightness”. 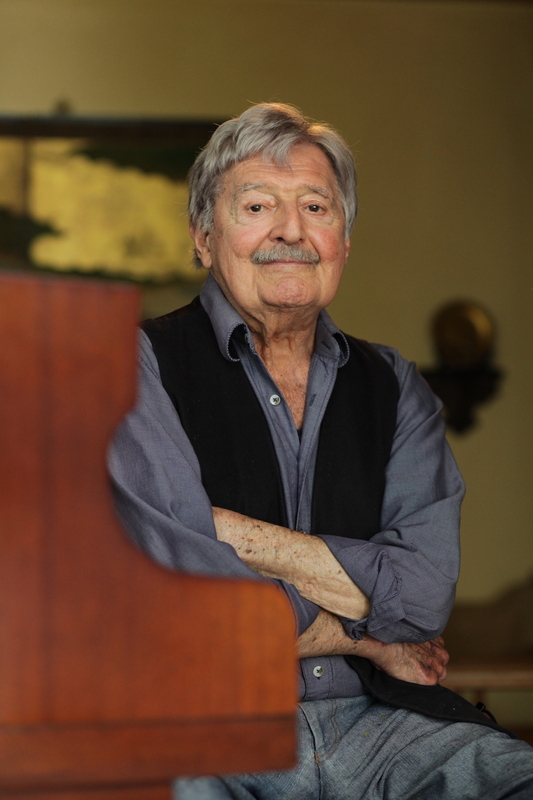 Sculthorpe flew to the United States to take up a 1966 fellowship at Yale, planning to compose several more Sun Musics. He and Patrick White had also started working on an opera, and although that relationship quickly soured (White reworked his ideas into the novel The Fringe of Leaves), Sculthorpe was soon immersed in plans, with choreographer Robert Helpmann, for a Sun Music ballet. Aztec sun imagery partly inspired the first piece he completed in America, the String Quartet No 7, later reconfigured for orchestra as Sun Music IV. Unsure about the ferociously austere path his recent pieces were taking, he found an alternative in a new book on Balinese gamelan music. 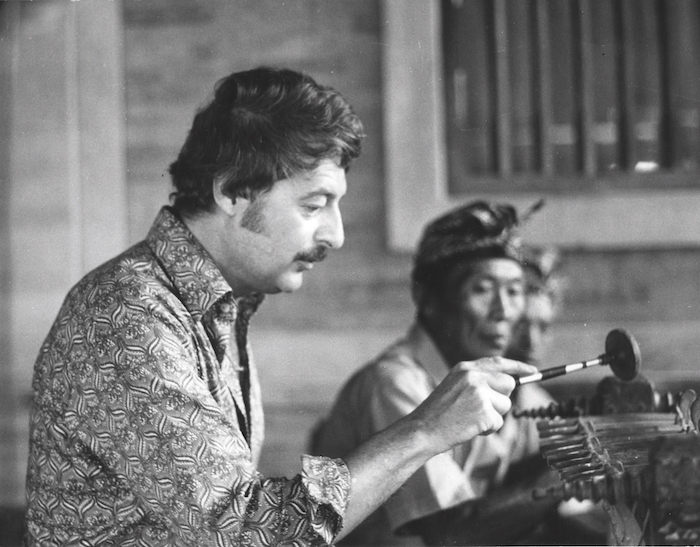 He later said that Colin McPhee’s posthumously published Music in Bali, was the book that “changed my life”. The first results of this new direction were the orchestral Sun Music III, and Tabuh Tabuhan for wind quintet and percussion, commissioned for the 1968 Adelaide Festival, works he described as being “full of tunes!” Yet, some shadows also crept into the scores. And it was a few of these darker moments that he refashioned, decades later, into Music for Bali, in memory of those killed and maimed in the Bali terrorist attack on October 12, 2002. Ultimately, the Sun Music ballet was performed over 100 times in 1968-69, the orchestral Sun Musics forming four of its five movements. 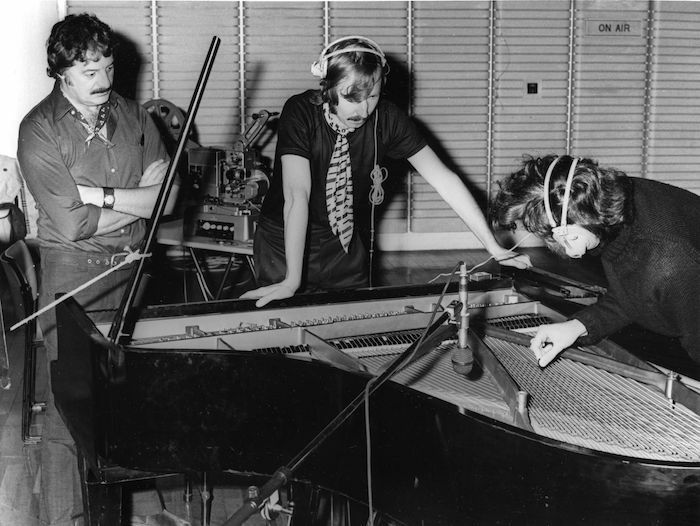 Meanwhile, Sculthorpe was progressing slowly on an opera finally staged in 1974 as Rites of Passage, a highly unconventional work with no narrative plot or leading singing characters, the principal roles instead taken by dancers, and scored entirely for chorus – singing texts in Latin and Arrernte – with orchestra, and amplified sounds improvised on the inside of a piano. Already in the midst of the over-confident 1980s, Sculthorpe was also wary that “a bogus national identity and its commercialisation” risked holding Australia back. In response, the darker, environmentally- inspired Earth Cry (1986) was his attempt “to attune ourselves to this continent”. Death is never far from Sculthorpe’s music. He characterised one of his Irkanda works as a “funeral rite”, another as “a ritual lamentation”. Aztec funerary customs partly inspired Sun Music IV. His first instrumental setting of the plainsong mass for the dead was the Requiem for Cello Alone (1979), and he returned to the age-old Dies Irae chant in another ecologically inspired score Memento Mori (1993). 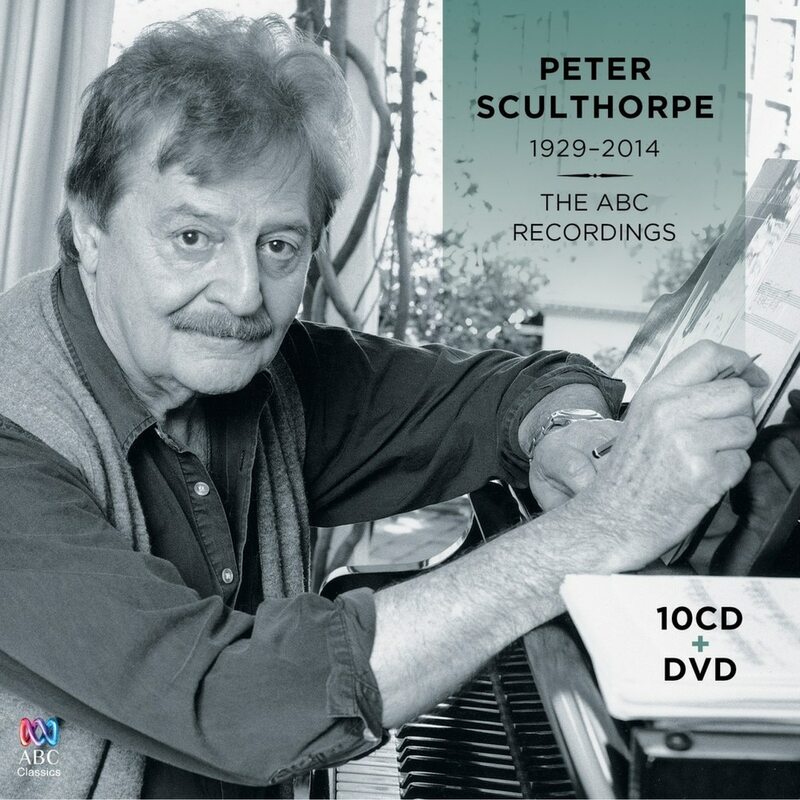 During 2014, ABC Classics prepared a major retrospective reissue of all its Sculthorpe recordings. In the event, his death only slightly brought forward the release of this 10CD set, with an accompanying DVD, filmed on his 83rd birthday in 2012, in which, direct to camera, Peter and the Goldner Quartet survey his life and music through the prism of his string quartets. Sculthorpe found his principal inspiration in the mythic Australian landscape – whether outback loneliness, tropical abundance, or Tasmanian wilderness. 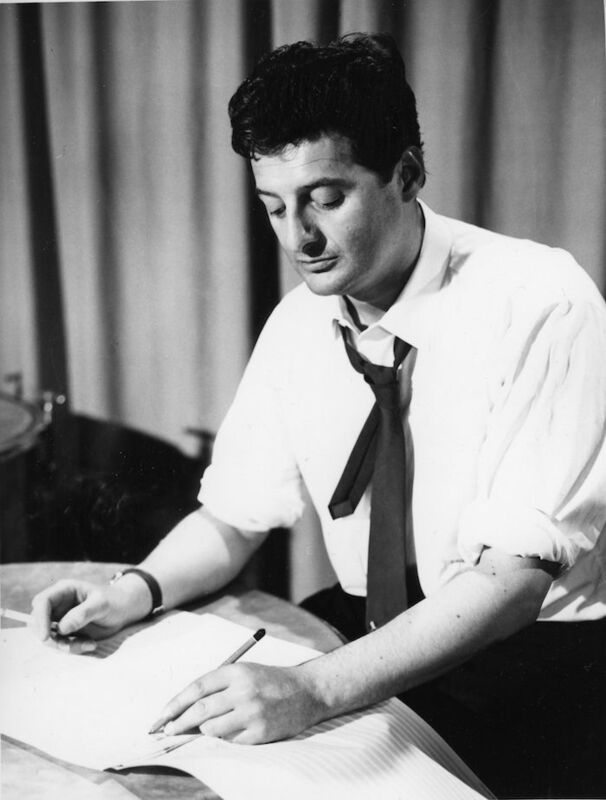 He collaborated not only with musical artists, but writers, film-makers, and theatre professionals like Robert Helpmann, Michael Powell, and Tom Keneally. In 2001, William Barton gave the first performance of String Quartet No 12 with an added part for didjeridu. Thereafter, Sculthorpe added optional didjeridu parts to many of his earlier scores and gave the instrument a key role in his Requiem of 2004. His scores characteristically contrast the austere melancholy of their freely composed slow sections, and the rhythmic energy of faster ostinato-driven sections, often underpinned by long-held bass drones. He also found inspiration in traditional music of the Pacific Rim, not only Australian Aboriginal song and dance, but also Japanese, Balinese, Papuan, and Mexican tunes and idioms. His String Quartet No 16 (2005) introduced a love song from Central Afghanistan, embattled home of many then seeking asylum in Australia. The go-to 10CD boxset makes a fitting tribute with a host of essential and authoritative first recordings by leading Australian artists and orchestras. 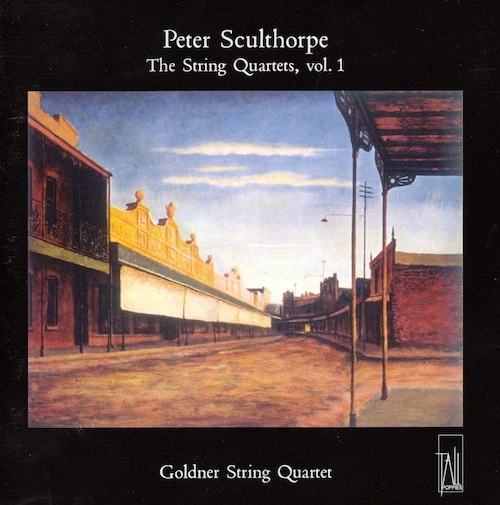 The Goldners worked closely with Sculthorpe over many years on these seminal works. All three volumes in this series bear a unique stamp of authenticity. 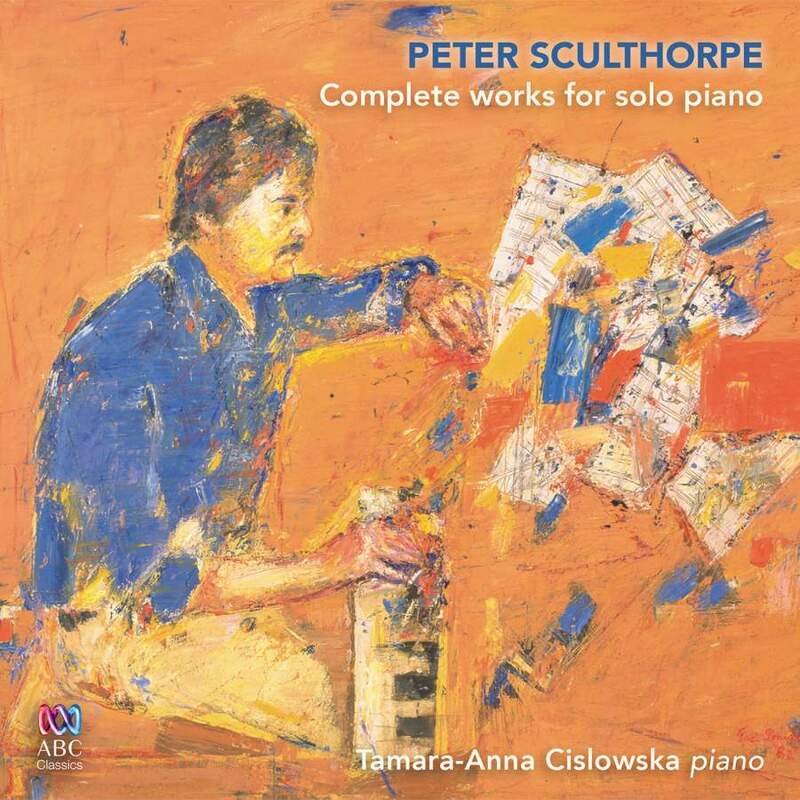 A beautiful recording and global release that took Sculthorpe’s music abroad. 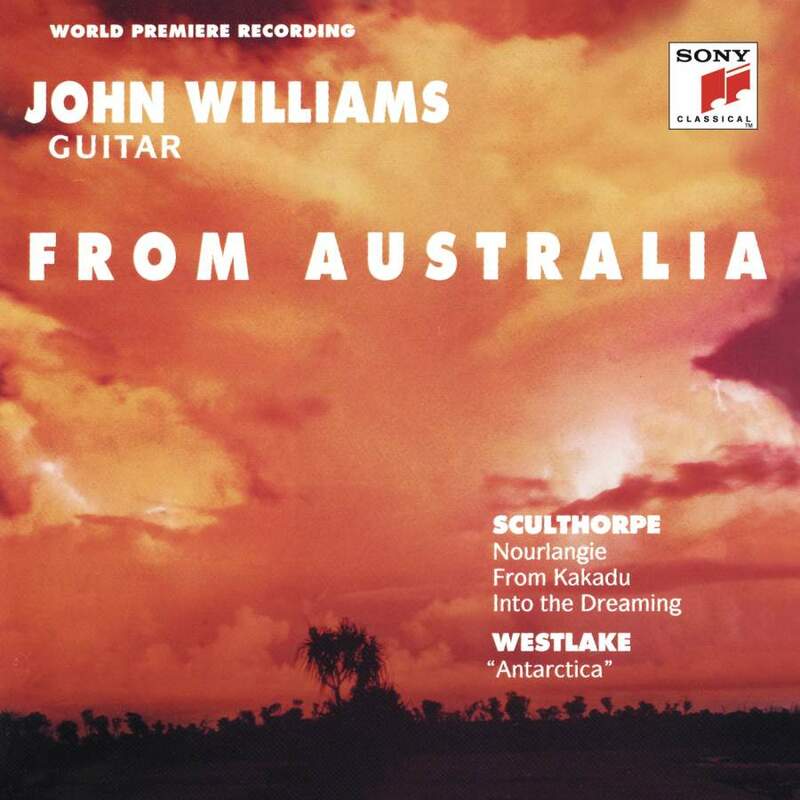 John Williams is a must hear in Nourlangie, From Kakadu and Into the Dreaming. Cislowska played Sculthorpe’s Piano Concerto at the age of 14 and became a friend from then on. She proves an ideal guide in this wide-ranging survey. Graeme Skinner is a music historian, author of Peter Sculthorpe: The Making of an Australian Composer (UNSW Press), and curator of the colonial music research website, Australharmony. Music’s peerless scene painter, Claude Debussy often relied on his own imagination rather than first-hand experience, reflects Gerald Larner. Yet his ability to conjure up images and moods was little less than miraculous. Was the composer as miserable as his doleful music might suggest, or was he merely reflecting the fashion for melancholy that gripped the Elizabethan age?